Name badge etiquette: Left? Right? Lanyard? Under? Over? Guy? Gal? …and there’s more. Who knew there are so many factors involved in placing name badges? 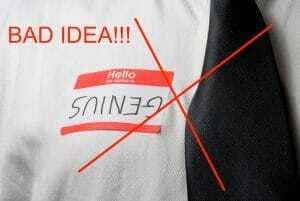 There actually are several considerations when determining how and where to wear a name tag. And while technology advances in most fields and often replaces traditional practices, event hosting, greeting, and in particular wearing name badges has not gone out of style. No matter how much technology moves into our lives, event industry professionals generally agree the role of the name tag will always remain. Where to wear a name tag? Right is, well, right! The human eye, no matter if a ‘righty’ or a ‘lefty,’ naturally gravitates up the right arm and to the eye line. And doesn’t it make sense? 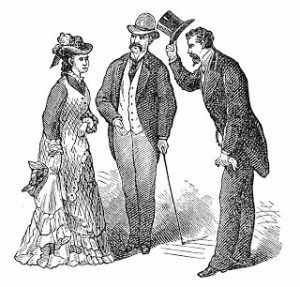 When we greet with a handshake it is customarily with the right hand. If name badges are placed on the right, then you’re set for a natural interaction with the other person. Besides on the right…where to wear a name tag? So you’ve got that first part correct – name badges on the right. But where do you place it exactly? Let’s all agree here, this isn’t Where’s Waldo! 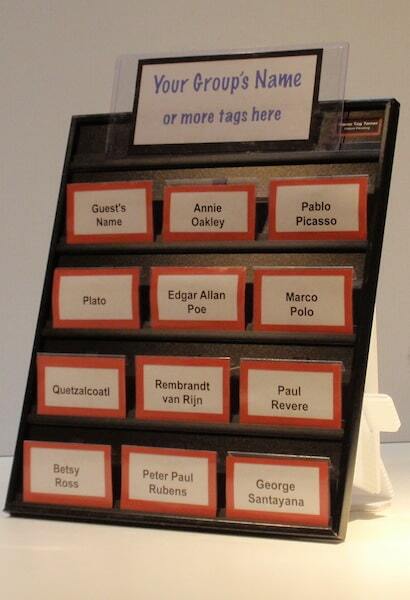 You don’t want guests having to search for your name tag. Placing it on your pant leg or hanging off the bottom of your shirt is not a good idea. 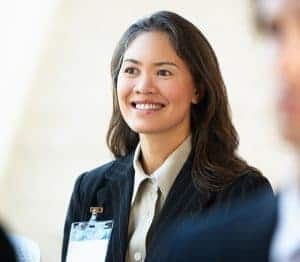 Networking events with new people, by their very nature, can be slightly awkward for some folks – don’t make it even more so by forcing them to look you up and down searching for your name tag. We often suggest the right side, upper lapel area – right in plain sight, not far from the person’s eyes. And that is the point, that name badges should always be located for an easy quick glance. Writing your name on name badges – formalities please! So, let’s say your friends call you ‘Dan-o.’ It is best not to use this on your name tag. Maybe you have a nickname or name that is a term of endearment, but it’s not really your actual name. Besides, the people that call you that already know you well. But if you’re at an event to meet and network with new people, using your first and last name is a better idea. If you happen to prefer Rich to Richard, or Liz to Elizabeth, we think that’s just fine. But please avoid the nicknames. If you’re at an event registration table with name tag ‘stickies’ and sharpies be sure to take the extra 15 seconds to write legibly. It really doesn’t do any good to worry about where to wear a name tag if nobody can read your name anyway! 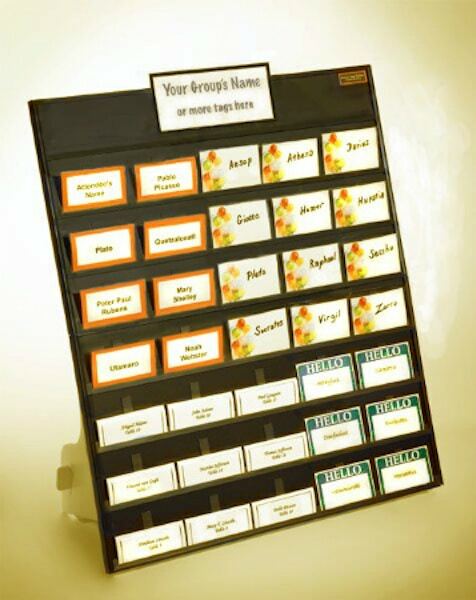 And after you stick that tag on your nice, pressed shirt or blouse – lean in to one of the fine folks behind the table and ask if they’ve ever seen a Name Tag Display Board. When they ask about it, watch their eyes glow as they realize how much better their event registration would be with a Name Tag Tamer displaying professionally printed name badges or even several of them. Which kind of name badges are the best? If you’ve attended and/or hosted events you know the importance of name badges. Stick-ons can be a hassle and aren’t reusable. Lanyards may be fun at first, but often get in the way and more importantly break the first rule of badge etiquette – they are out of site and always shifting. 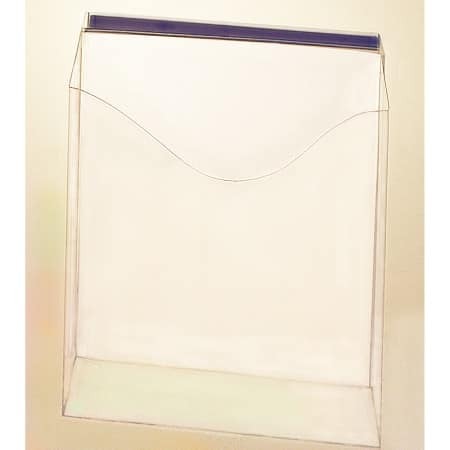 We recommend name tag holders with a metal clip on the back that allow for repositioning and staying in place. There’s more sophistication to those little name badges than you might think. Do you save all your event name tags, collecting them afterwards? Do you use them for taking attendance? Do you have them organized in a carrying case or displayed in an easy to use system? 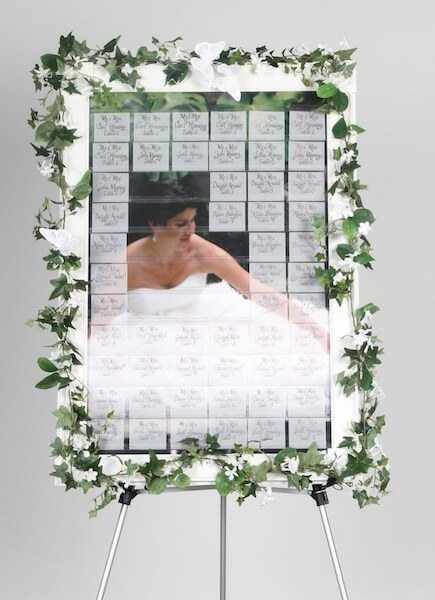 You might want to read our blog Name Tag Organizers Make Hosting Events Easy so that you are well prepared for your next event. 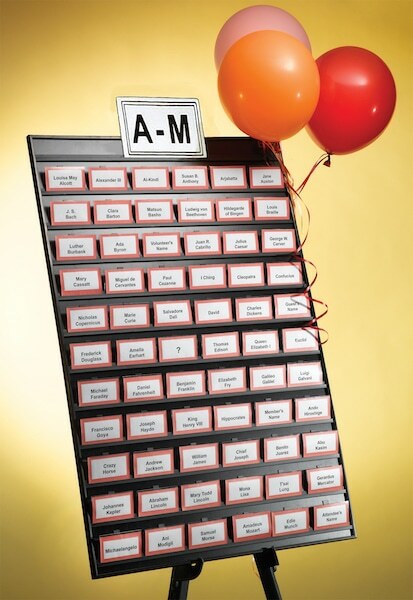 Easy Event Hosting offers various options for organizing and displaying professionally printed name tags. 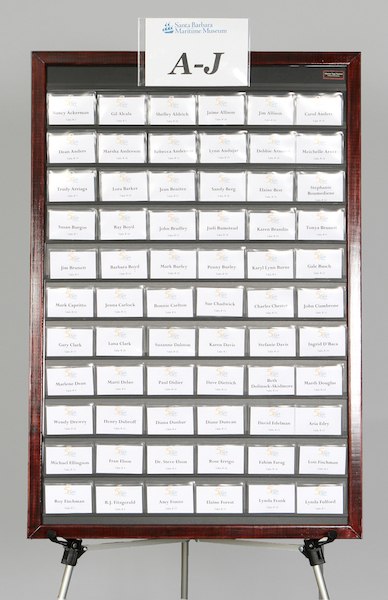 The Name Tag Tamer Wood Frame options are particularly nice for a more professional look, and a great first impression. For custom orders or detailed questions feel free to reach out to us by calling (805) 259-3835 or by completing our contact us form.